Welcome to The Price-to-Value Podcast with Southeastern Asset Management. This podcast series is for people interested in hearing Southeastern’s take on the topics that are top of mind for our clients and how they may impact our portfolios, from our Business, People, Price perspective. In our newest episode, our Vice-Chairman Staley Cates interviews Prem Watsa, Chairman and CEO of Fairfax Financial Holdings. They discuss surviving a short attack, Fairfax’s long-term investment track record, underwriting history and unique culture, and Prem’s view on private equity, active vs. passive and value investing. 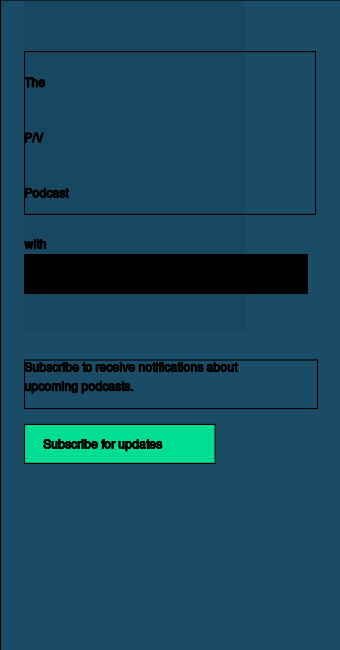 If you have questions about our podcasts, please feel free to email us at podcast@seasset.com. View The Price-to-Value Podcast - Ep. 06 Transcript. View The Price-to-Value Podcast - Ep. 05 Transcript. View The Price-to-Value Podcast - Ep. 04 Transcript. Episode 03 - Is Value Investing Dead? View The Price-to-Value Podcast - Ep. 03 Transcript. View The Price-to-Value Podcast - Ep. 02 Transcript. View The Price-to-Value Podcast - Ep. 01 Transcript. Current and future holdings are subject to risk and past performance is no guarantee of future results. Podcasts should not be copied, distributed, published, or reproduced, in whole or in part. Information presented herein is for discussion and illustrative purposes only and is not a recommendation or an offer or solicitation to buy or sell any securities. Securities identified do not represent all of the securities purchased, sold, or recommended to advisory clients. The views and opinions expressed by the Southeastern Asset Management speaker are their own as of the date of the recording. Any such views are subject to change at any time based upon market or other conditions and Southeastern Asset Management disclaims any responsibility to update such views. These views should not be relied on as investment advice, and because investment decisions are based on numerous factors, may not be relied on as an indication of trading intent on behalf of any Southeastern Asset Management product. Neither Southeastern Asset Management nor the speaker can be held responsible for any direct or incidental loss incurred by applying any of the information offered. P/V (“price to value”) is a calculation that compares the prices of the stocks in a portfolio to Southeastern’s appraisal of their intrinsic values. The ratio represents a single data point about a stock and should not be construed as something more. P/V does not guarantee future results, and we caution investors not to give this calculation undue weight.